Desexing our pets prevents accidental litters that add to the already high number of homeless animals in our community. But, research shows that desexing also has a number of health benefits for our dogs and cats. Despite information promoting the benefits of desexing, it is an area that continues to be plagued by misconceptions. 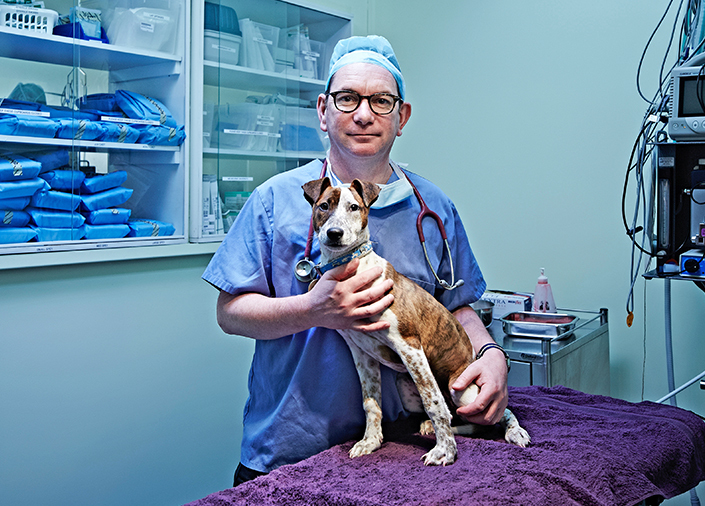 To mark the beginning of National Desexing Month, I’m busting five of the most common desexing myths vets hear. If your pet’s personality does change in any way after desexing, it is generally for the better. They become easier to train, calmer and won’t suffer the frustration of constantly wanting to mate. Spaying or neutering your pet won’t make them overweight and lazy. Pets, much like humans, become overweight as a result of a poor diet and lack of exercise. Feeding your pet the right amount of quality food and giving them regular exercise will help them stay happy and healthy. The majority of dogs ending up at animal shelters are intact males. Intact males can become incredibly frustrated when the need to mate hits them, resulting in them escaping, or developing behavioural issues. Desexing helps manage these issues. Desexing your pet at a younger age, also helps reduce the possibility of him developing conditions such as testicular cancer or prostate disease. Veterinary evidence suggests breeding your female pet is more likely to cause her harm. An un-spayed female is much more susceptible to cancers and diseases of the reproductive organs, not to mention problems with birth itself, which can be problematic and even result in expensive surgical procedures. Surgery for your pet can be expensive, but if you budget for the cost of caring for a litter of kittens or puppies, you’ll find that expenses can quickly add up. To give you an idea of the costs, view the Home’s estimates on budgeting for a dog or cat. The Lost Dogs’ Home Frank Samways Veterinary Clinic is participating in National Desexing Month. Until July 31, pension, health care and concession card holders are entitled to discounted desexing at the clinic. Click here to read more. We understand the cost of desexing can be out of reach for some pet owners. So to help those who need it most, the Home recently launched its mobile desexing unit, MADI, which is offerring low-cost cat desexing in communities across Melbourne. Click here to read more. We hope this information helps pet owners understand the importance of desexing your pet. After all, we owe it to our pets to make an informed decision about their long-term health and happiness.